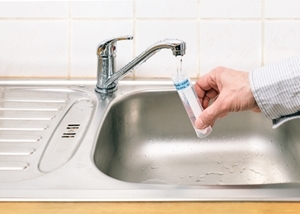 Whether you are just moving into a new home or have lived in the same residence for years, it is important to take care of testing and water treatment in Austin. It is never too late to change the quality of the water you have coming out of your faucet. 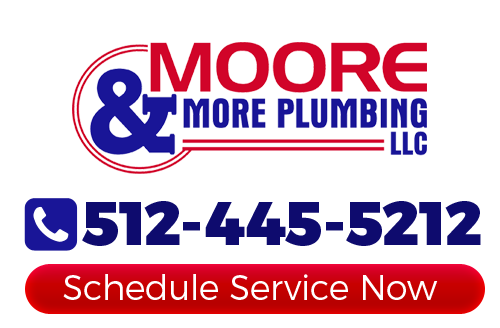 You will feel good knowing that this is also the type of service we can provide here at Moore & More Plumbing. If you recently purchased a new home, it is a good idea to know about your water before you use it for drinking, cooking or even household chores. Homeowners often find out the hard way that the water is not suitable, as is, for consumption by people or pets. Even your houseplants may take a turn for the worse if being fed water that contains contaminants. If you have lived in the same home for a while, it would be easy to assume it doesn't matter at this point. Yet you can never be too careful and might be surprised to find what you have been consuming for all these years. The bottom line is that it is always a good time to start taking back control of your health and well-being by getting testing and treatment in place. While any water should be tested, there are tell-tale signs that you need to get service immediately. If you notice that the appearance or smell of the water seems off, or if the taste is less than pleasant, get it tested. You may also notice excessive deposits in your water which can also meant that you have plumbing or water heater problems. None of these are particularly appealing and can actually result in illness or other types of physical harm. Even if you have lived in the same place for along time, you may be horrified to learn about the presence of any of these. Getting a health screening is also a good idea to ensure that this has not negatively impacted your well-being. Our team can test your water quality and provide you with various water filtration and water purification solutions to improve it. Moore & More Plumbing has been taking care of water testing and treatment services since we first started the company in 1986. As a family owned and operated plumbing company in Austin, we know how important it is to you to protect the safety of your loved ones. We want to be a part of making that possible. Don't take chances, give our Austin plumbers a call today and get the plumbing services in Austin you need. If you are interested in solutions for water treatment in Austin or the surrounding areas, please call 512-445-5212 or complete our online request form.